Everyone has a least favourite household chore. Mine, along with ironing, is cleaning bathrooms. There is something about cleaning up after everyone’s mess in the bathroom that really bugs me. 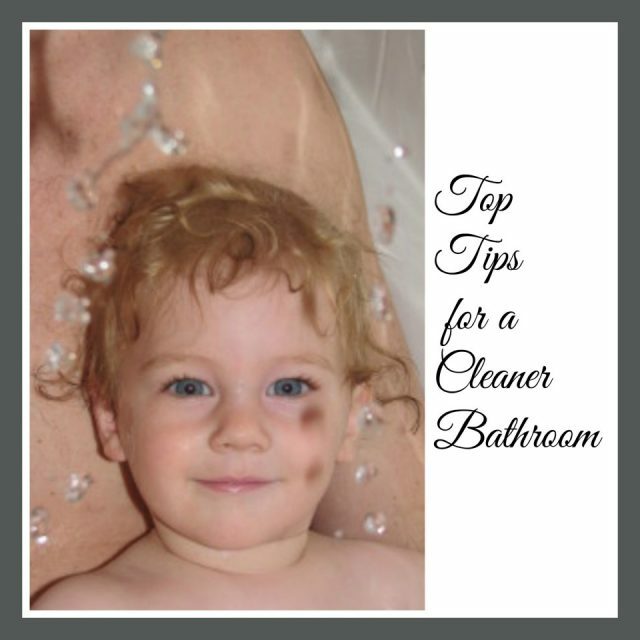 Pulling hair from drains, scrubbing bath rings and cleaning toilets are very far down on my list. BUT like all things, it must be done. So I researched and thought about how to make this task easier, quicker and less icky and this is what I have come up with. Use leftover white wine or Coca Cola to remove lime scale from glass. Use Vinegar (acetic acid reacts to dissolve the limescale ) to clean it. Make up a solution of half water and half clear vinegar, put it into a spray bottle and spray onto the glass, leave for 10 minutes or so and then wash off, dry the glass with paper towel or cloth. Apply a car wax to the walls and doors (not floor as it will be slippery). Both fibreglass and glass are porous. The car wax seals those pores, which makes cleaning easier and keeps water spots away. Reapply twice yearly. Rubbing a fresh lemon or lime (cut in half) on to the area – seems to get rid of it and then rinse off with water. If you have any areas where you can leave the citrus fruit on it for a while that may help for stubborn stains. If you’re tired of fighting the soap scum buildup, switch to liquid soap, natural soap or Dove. It’s the talc in most bar soaps that causes the buildup. Changing soap can eliminate the buildup. Plastic shower curtains can be machine washed. Remove, spray with your citrus based cleaner and wait about 10 minutes. Wash with your cleaning rags and they come out quite clean. If the curtain is long enough, cut off the seam at the bottom to prevent mildew buildup down there. Remove your shower head and take it apart if possible. Put all the parts into a container filled with warmed (not boiling) white vinegar, soak for 20 minutes. If you cannot remove your shower head, fill a small plastic bag with 2-3 inches of white vinegar and tape or tie it to the shower head, ensuring that the faceplate is completely submerged. Leave it for 15-20 minutes. If your shower head has a brass or gold finish, do not soak for more than 30 minutes. Clear clogged holes in the shower head with thin wire or a opened out paperclip. Make your own window cleaner in a spray bottle. Add 1/3 cup white (clear) vinegar and 1/4 cup rubbing alcohol. Spray onto windows and mirrors and wipe with a soft dry cloth immediately. Do not allow the spray to dry on the glass. Have you got a nasty ring around your toilet at the water line? Depending on the hardness of your water, pour one or two cups of white vinegar into the toilet (over night) once a month to eliminate the problem. Make it a habit to once a month, pour one cup of baking soda, followed by one cup of white vinegar down the drain. Wait an hour and flush with warm water. The combination reacts and fizzes to dissolve away most of the buildup. Works for kitchen sink drains too. Use a paper towel soaked in white vinegar and place around the faucet. Plug the drain and pour 1/2 cup white vinegar in the sink and wait. It takes time for the white vinegar to dissolve the alkaline deposits. Scrub using a stiff bristled brush or bathroom scouring pad. Every six months spray your bathroom ceiling with a 50/50 solution of hydrogen peroxide and water, this will prevent any mildew ruining your bathroom ceilings. Peroxide is a safe bleach and won’t harm the environment or your lungs. Spray the mixture on and leave it. No need to rinse or scrub. **If you already have mildew, follow the above directions. Wait two hours and respray. Then wait 24 hours and spray a third time if necessary. After a bath, before you let the water out, dip a mop into it and give the floor a once over. The water is still clean enough to wash the floor and you are saving water at the same time. Obviously this does not work if the bath water has oils in it. You can give the floor a “proper” wash once a week with a detergent or other cleaner on top of this if you like. Keep a tub of flush-able wipes in the bathroom and after bath time each night, wipe down all the surfaces and the toilet seat and rim. Minimise dust collecting by placing all items into a cupboard or drawer unit. It is easier to wipe down surfaces if you don’t first have to move a load of bottles, toys and decorative items. Leave a large flat brush in the shower. You can use your foot to give the shower floor a quick scrub each time you shower. Again, you can do a “proper” scrub when you have a chance. Keep a scouring pad in the shower. Before you get in, spray down the surfaces in the shower and then get in yourself. Use the scouring pad to give the shower a quick scrub (about 2 minutes) and use the shower head to rinse the surfaces down. Now wash yourself…remember to use the squeegee to dry off the glass before you get out!